BMG has been appointed as exclusive distributors of the Hydrotechnik range of analog and digital test and measurement equipment in southern Africa. “Through this agreement, BMG has extended its range of fluid technology products to include Hydrotechnik measurement sensors and data logging equipment for digital hydraulic testing and analysis,” says fluid technology business unit manager, David Dyce. 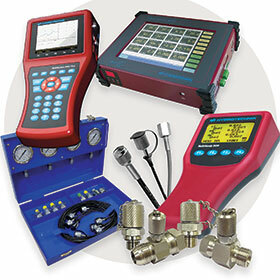 BMG also now distributes Minimess test points and adaptors, high pressure microbore hose assemblies, pressure gauges and test kits for analog testing, charging, bleeding and sampling of almost any fluid or gas. BMG’s fluid technology division’s measurement sensor range also includes new pressure, flow, temperature, speed and force measurement devices, designed for extremely accurate analysis of hydraulic or process systems. High precision Hydrotechnik equipment, which is manufactured to stringent international quality standards, is known globally for reliability, ease of use and flexibility in diverse industries, including arduous conditions. BMG’s range of components for fluid technology systems and general industrial applications also includes valves, hydraulic hoses and fittings, accumulators, cylinders, heat exchangers, hydraulic motors and hydraulic plumbing, as well as pumps and reservoir accessories. The company supports this equipment with a technical advisory, back-up and repair service throughout southern Africa.